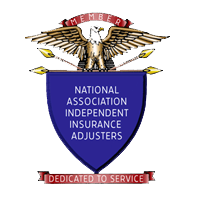 Eastern Adjustment Company, Inc., is a locally owned Independent Adjusting firm designed to assist insurers primarily in the adjustment of losses and claims in fire, allied lines, marine and casualty. We specialize in personal and commercial property losses, as well as, provide liability investigation services. Our qualified and experienced adjusters are well versed in policy coverage, trained in Xactimate Estimating software and knowledgeable of the overall adjustment process. We understand that suffering a loss can be a nuisance if no devastating to an insured. We also understand that our contact with the insured is often the first impression they have of the insurance company they have trusted to be available in their time of need. We strive to settle losses fairly, quickly and professionally for the benefit of our client companies and their insured’s. Available 365 days per year. Copyright © 2019 Eastern Adjustment Company, Inc.